The Yellow Horned Poppy forms a yellow carpet at the top of the shingle beach occupying a very harsh environment. Pioneer species such as the yellow-horned poppy establish themselves on the bare shingle leading the way to the establishment of plants such as sea campion and sea thrift. 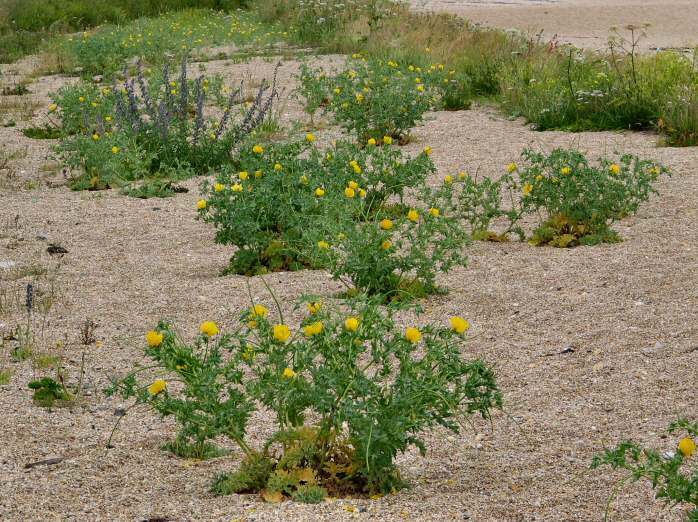 These plants are adapted to the harsh conditions of the shingle beach with its frequent salt spray and lack of freshwater - an arid climate compared to the usual mild English climate.